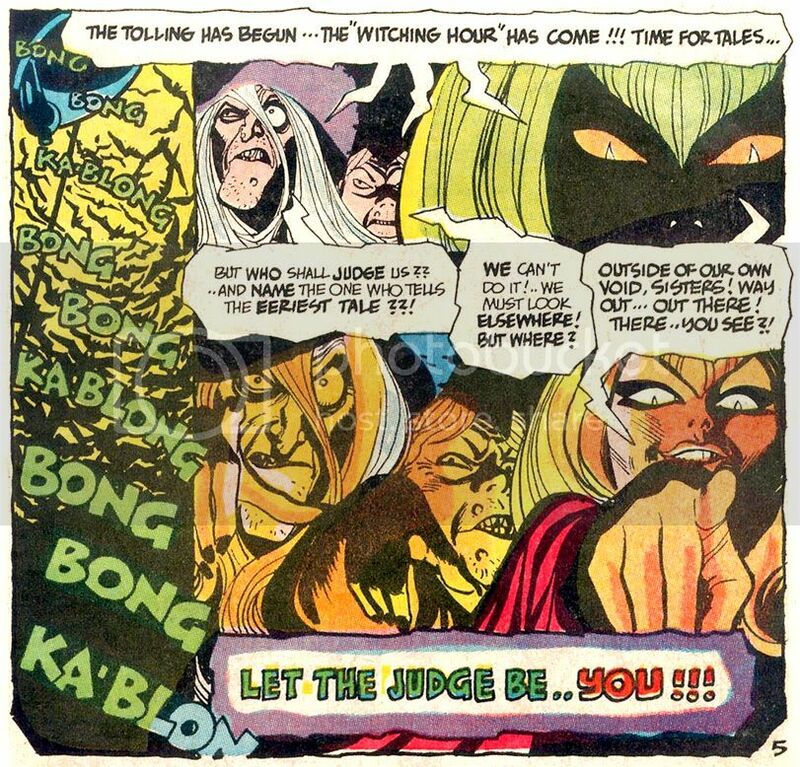 The three witches found in DC's The Witching Hour comic provided a certain aura of creepiness as well as charm throughout the series' run. You had the token ugly witch Mordred, the full-figured Mildred, and the young and beautiful Cynthia, all of which provided an interesting dynamic between the three. Mordred and Mildred would frequently gang up on Cynthia, but somehow Cynthia would always get the last laugh. But when Mildred got mad, better watch out. And somehow a story was always a bit more scarier when Mordred had something to say about it. There were dozens of horror "hosts" from pre-code through the bronze age, but out of all of them I found these three witches the most alluring. Although he first appeared in 2000 AD's Judge Dredd strip circa 1980, that first appearance passed me by. 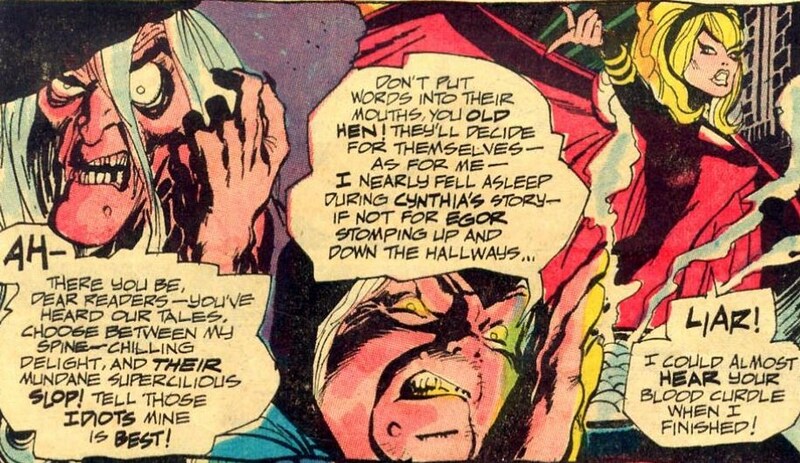 It was Death's second appearance in the "Judge Death Lives" storyline from 1982 that first caught my attention. I was already a fan of Judge Dredd and regularly followed the adventure's of Mega City One's toughest lawman in my best friend's copies of 2000 AD (pocket money was tight, I bought Star Wars, he bought 2000 AD and we read each other's comics). But I vividly remember the impact that this second appearance of Death and the other Dark Judges had on us both at age 11. For one thing, a supernatural character like Death was unusual in the Judge Dredd strip, which usually pitted the titular character against more Earth-bound criminals, grotesques and darkly humourous adversaries. 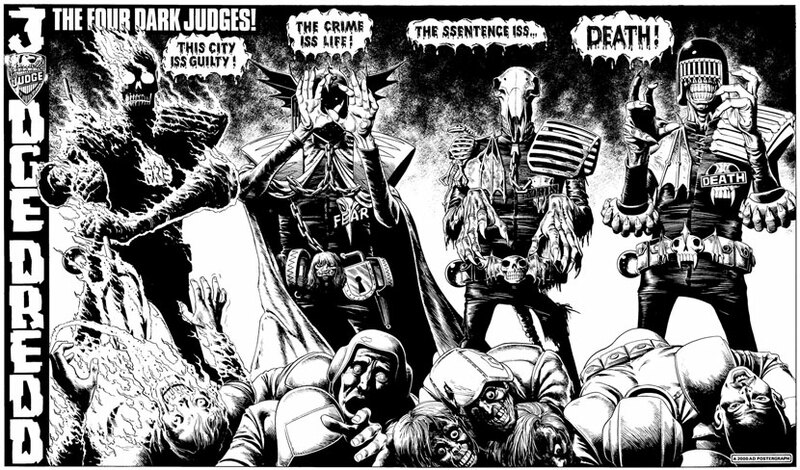 Then there was Judge Death's striking appearance, being that of a twisted, undead, horror version of the Judges themselves, which was an utterly fantastic visual. Of course, it helped immeasurably that artist Brian Bolland drew such detailed and pretty pictures, but it was the creepy character designs and backstory that sold the characters to me. Today, Judge Death is easily in my Top 3 all-time favourite Judge Dredd villains, so he had to be in my Top 5 for this event. 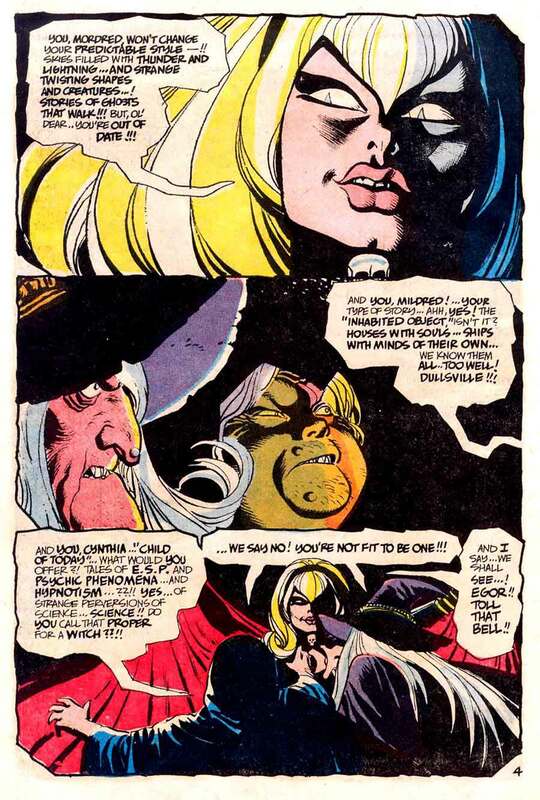 This might seem like an odd choice as the character doesn't make many appearances and is killed off rather anticlimactically before the revived Dracula can get a rematch, but he left an immediate and lasting impression upon reading these comics, I think mostly due to Gene Colan's artwork, which projects a remarkable aura of relaxed strength and deadliness. I don't think Wolfman made a good choice calling him Juno, though - that name's already taken, buddy!